It is recognised that the first 1,000 days of a child’s life, from conception to two years of age, lay the foundation for later development. Neurological development is the most rapid during this period. Neglect, maltreatment, malnutrition and under-stimulation of language and cognitive functions compromise early child development. 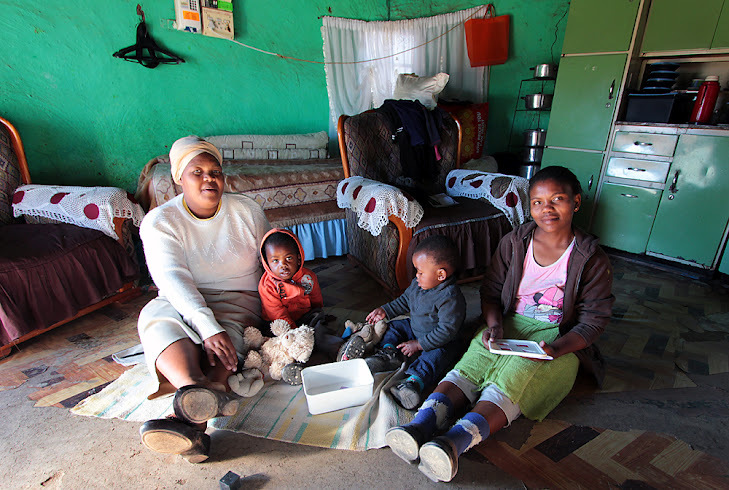 Close to 60 per cent of children in South Africa live in income poverty, and the growth of an average of 20 per cent of children under the age of five is stunted by malnutrition, with rates much higher in some parts of the country. Stunting is associated with neurological damage in early childhood and poor intellectual outcomes. It is mostly a result of poverty conditions which have a negative impact on a wide range of a child’s development outcomes. Ilifa Labantwana aims to increase access to and improve the quality of integrated early childhood development services for children in underserved communities; and to support South African policy implementation of integrated ECD interventions in a sustainable manner. In supporting this aim, it funded the Sobambisana Initiative, a 4-year project in which five NGO partners developed, implemented and evaluated different models for increasing access to and improving the quality of integrated ECD services and programmes to marginalised and poverty-affected children living in rural or isolated communities. Ilifa Labantwana funded the Sobambisana Initiative, a 4-year project in which five NGO partners developed, implemented and evaluated different models for increasing access to and improving the quality of integrated ECD services and programmes to marginalised and poverty-affected children living in rural or isolated communities. The idea was ultimately to establish which were the most effective and could most easily be taken to scale on a regional or national level, with the hope that the conclusions reached would inform government, which is currently reviewing its ECD programme. The Sobambisana Initiative is the first attempt in South Africa to develop a local evidence base for interventions aimed at improving EDC, particularly those relevant to rollouts under the National Integrated Plan. The National Integrated Plan (NIP) for ECD 2005–2010 and the Children’s Act No 38 of 2005 provide the framework for delivering a comprehensive range of ECD programmes and services to children under school-going age, including health and nutrition services to pregnant women and young children, access to birth registration and social grants, and opportunities for early learning in the years prior to school. In presenting the National Development Plan to parliament in August, Minister in the Presidency, Trevor Manuel, said early childhood development was a top priority for government, stressing the importance of strengthening both early childhood service provision and education if we are to significantly improve the life chances and capabilities of our people and improve access to opportunities and employment by 2030. Government is aiming to rapidly scale up services for young children, with priority to the 2.5 million poor and vulnerable children but evidence-based models are needed to support this. A research team led by the Department of Psychology of the University of Cape Town in partnership with the Early Learning Resource Unit (ELRU) was appointed to the evaluation and a summary of the findings of this reasearch follows. The full research document can be downloaded here: Sombambisana Evaluation. Home visiting significantly increased access to various elements of the NIP package. This included access to grants and health services. Visits by trained staff also improved safety and hygiene in the home, caregiver coping, responsive care, and enhanced language and academic stimulation for children. Participation in home visiting programmes was extremely high, indicating that this is an effective way to reach vulnerable families. Home visiting is the most promising way of reaching vulnerable families with young children and improving the care environment. 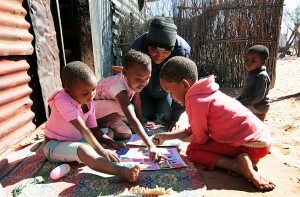 Playgroup models delivered in poor communities also significantly increased access by children to an ECD programme. School readiness improved significantly, if the playgroup was delivered by a trained ECD practitioner, there was quality content which was well-designed and was in line with the requirements of the schooling system. Children need to attend regularly over a long period of time. Safety and hygiene at home were also improved. When compared with playgroups and home visiting, children who had participated in group programmes at ECD centres with content well aligned to academic capacities had the best results with regards to cognition, language, numeracy and readiness to learn when they reached Grade R. The quality of the implementation made a critical difference to the achievement of the child outcomes. No matter how well the programme is designed, if it is not delivered according to the necessary standards, the desired results will not be achieved. The evaluation showed that regardless of the efforts put into community and site-based formal ECD programmes, factors within the child and her home environment play a significant role in moderating their influence. Children who were malnourished and who started the interventions well below the norm for their age on cognitive development, showed little change as a result of the intervention. This observation suggests we have to be realistic about what can be achieved in community-based programmes with children in very compromised circumstances. It is clear that there is great benefit for them in holistic programmes that provide support to their caregivers and assist them in accessing the necessary services. However, early deprivation may be too challenging to overcome without intensive long-term support. ECD centre quality was improved through various training and support initiatives. Quality for other programmes was variable and depended on strong oversight, staff capacity building and having clear guidelines for programme intervention. In the drive to develop sound models of early childhood programming, sight must not be lost of the fact that in addition to the quality of the programme content, the quality of implementation makes a critical difference to the achievement of the desired outcomes. Ilifa Labantwana (Children’s Heritage), is a multi-donor partnership programme of the ELMA Foundation, the UBS Optimus Foundation and the DG Murray Trust which supports integrated early childhood development (ECD) in South Africa. Very Useful information. These lessons will make a difference in the way we implement ECD programmes in our organisation.